Mass of the Lord’s Supper : 7 p.m.
Stations of the Cross – 1:30 p.m.
Liturgy of the Lord’s Passion – 2:30 p.m. 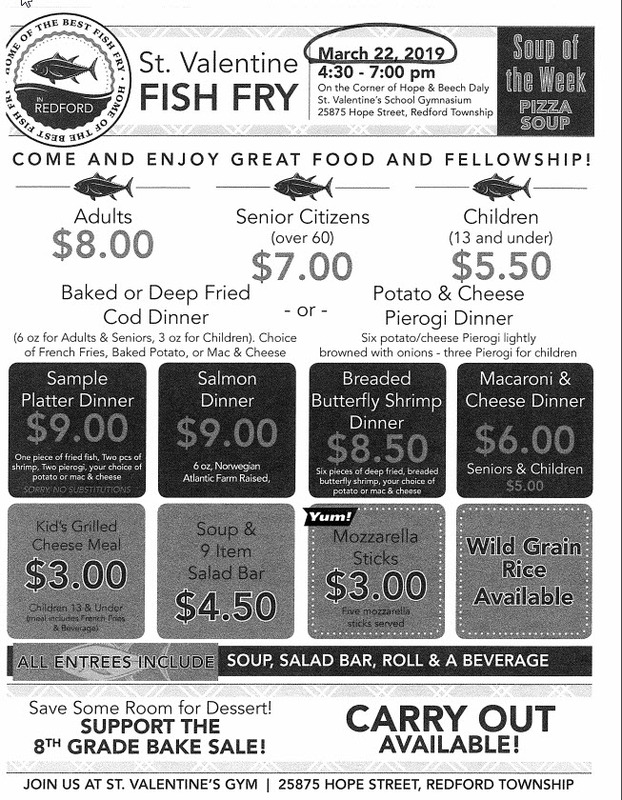 Blessing of Food (Church) : 11 a.m.
Easter Vigil Mass – 8:30 p.m.
Today we celebrate Palm Sunday and Passion Sunday. This is the time of year we stop to remember and relive the events which brought about our redemption and salvation. What we commemorate and relive during this week is not just Jesus’ dying and rising, but our own dying and rising in Him, which will result in our healing, reconciliation, and redemption. Attentive participation in the Holy Week liturgy will deepen our relationship with God, increase our Faith and strengthen our lives as disciples of Jesus. Therefore, I would like to invite everyone to take part actively in this Holy Week liturgy. 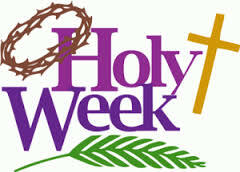 The very important three days of Holy Week are known as ‘The Holy Triduum’ leading to Easter Sunday. They are Holy Thursday, Good Friday and Holy Saturday. 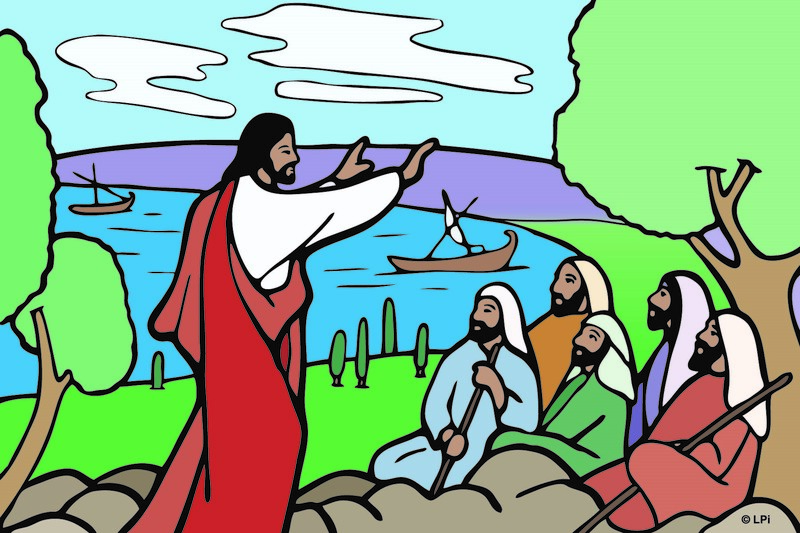 Holy Thursday: The day before His death commemorates three important actions of Jesus. 1. The institution of the Holy Eucharist. Jesus instituted the Eucharist on the day of the Last Supper. 2. The institution of the ministerial Priesthood. In instituting the Eucharist, Jesus also instituted the priesthood. Today the priests make present the redemptive Sacrifice of Christ through the Eucharistic sacrifice of the Church. 3. The promulgation of His New Commandment of Love. “Love one another as I have loved you.” Jesus taught this new commandment by washing the feet of his disciples. 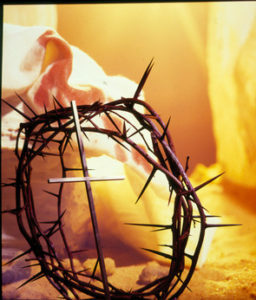 Good Friday: It commemorates the Passion and death of the Lord Jesus. We fast on this day and take part in the Stations of the Cross. This day’s special liturgy has three parts. 1. The Liturgy of the Word. Holy Saturday: On this Saturday The Easter Vigil Mass begins with the Service of Light. The Easter (Pascal) Candle is lit, the Exsultet is sung, and the Old Testament readings are read, retracing the steps of salvation history. After the Gloria is sung, we celebrate our death and resurrection with Christ with a reading from the New Testament; then the Gospel is read, catechumens are baptized, and confirmations take place. People are received into the Church, and they receive their First Communion. I wish to invite all of you to participate in this Holy Week celebrations and experience the joy of Resurrection in your lives. Many who attended Fr. Pat’s talk on Wednesday, April 3rd, have asked for a copy of the presentation. Father generously provided us with a copy that you can view or download from this page. 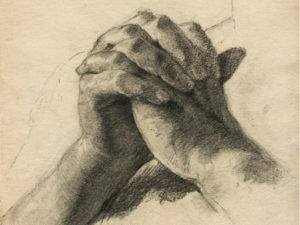 The title of his talk is The Power of Petitionary Prayer and you may click here to view it. We always look forward to seeing Fr. Pat and hearing his inspiring homilies. Fr. Pat, you are truly part of the family at St. Valentine Parish!